How to reuse old solar lights? Recycling is green, beneficial to the environment, and … fun! 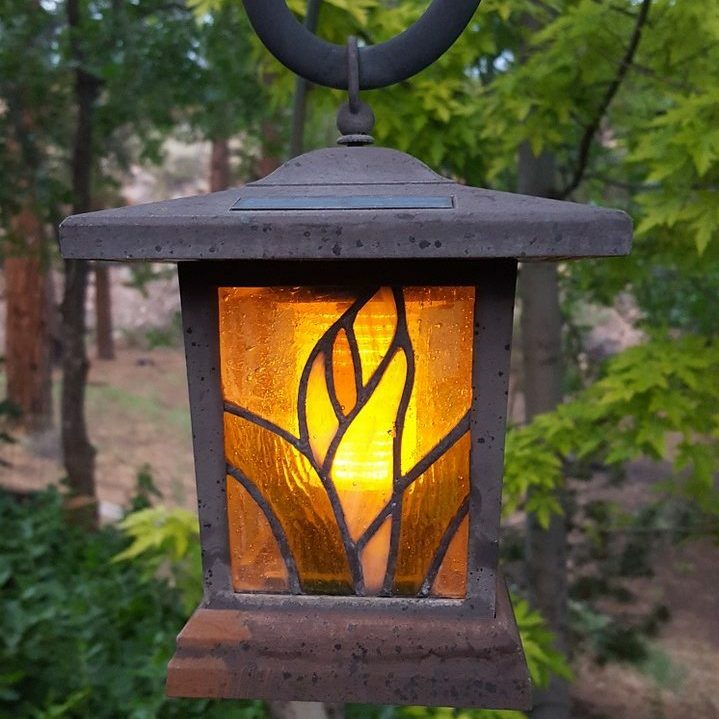 And should you happen to have some old solar lights lying around, read this article to gain valuable insight into the practical art of reusing aged but not broken solar lights. You’ll be surprised at some of the things you can do with these common outdoor lights once they are worn-out and well past their best before date. Read on! Before we delve any further into the numerous options of how to creatively reuse solar lights, first let’s take apart one basic solar light unit to see what’s inside of it. Doing this will help you better understand the multiple parts that can be useful for your solar light recycling endeavor. You might be surprised to hear that every little part of an old solar light can be reused or recycled in one way or another. Nowadays, most bigger cities have recycling centers offering places where you van discard your old lights safely and save the environment in the process. However, since this article focuses on reusing solar lighting, let’s dig a bit deeper and discover all the solar lamp reusing possibilities. This is a no-brainier: you can reuse old AA and AAA batteries to power any device that is battery-operated from remote controls to clocks, smoke alarms, etc. So many of our household electronics still run on old-school rechargeable batteries, so by using the batteries from your old solar lights, that probably still are perfectly fine, you can save some money as well as be more gentle to the environment, by using up your batteries until they won’t work anymore. Did you know that LED technology is one of the best lighting solutions available right now? You should really try to save the LED light bulbs from solar lights whenever possible. Not only LED bulbs can be almost 80 percent more efficient when bench-marked against incandescent or event fluorescent lamps, they also turn up to 95 percent of the used energy into light and only 5 percent is converted into heat. Some studies have shown that the opposite might be true with most fluorescent lighting systems., so LED lighting will also be cool to tough, no matter how long you have your light turned on. Lastly, LED lights don’t contain any toxic chemicals that could be released to the surrounding environment as other light technologies do, so you can be sure that even reusing solar lamp LED bulbs will provide that you have clean, safe and efficient lighting sources. Photo resistor essentially is an intermediary between two sources of power: the solar collectors and batteries that the light uses, when it isn’t collecting enough energy to light the lamp. So you can use this nifty little part in your future DIY projects that is related to solar power and its transition, because these photo resistors are quite universal and can be used and reused for plethora of different projects. The ability to sink and source currents are vital for any LED setup, which is why LED lights need to have a working controller board. And since solar lights usually come with LED bulbs they, too, have these controller boards, that can be used with many different LED configurations. Bust remember to check if the board used in your the solar light is elaborate enough to use in your personal projects, as sometimes solar lights come with very primitive controller boards. Try to find a serial number or other identification of the controlled board that will tell you more about the board, and once you are sure, that the controller board will be suitable to what you have in mind, you can go ahead and reuse it to your liking. Even the solar collector cells from solar lighting can be reused. The first thing you must do, though, is test the cells in order to verify how many of them are working properly, because usually some of the solar lamp components work correctly, but others are less long-lasting. Grab a voltmeter, connect the cell’s two wires with the probes, and expose the cell to sunlight. If the voltmeter shows numbers above 1 volt, the solar cell can be deemed good to go for your next solar cell project. Undoubtedly, this is the part of an old solar light that requires absolutely zero knowledge about electricity, technology or electronics. 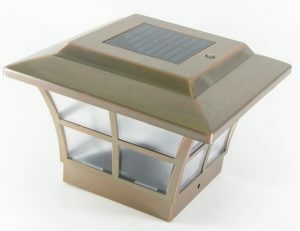 Most of the time, a solar light’s cover is made of plastic or glass, and it can literally be used however you want, which is why the cover gets the most attention in this article. Imagine all the different ways of using this piece of an old solar light. From planting flowers in them to creating mood lighting, collecting rainwater in the covers, using them for art projects, the possibilities are endless. Which is why, lets look at two of the most popular DIY projects for using the covers more closely. Solar lighting covers make for great flower pots. But, since there is a strong possibility that your old solar light cover has holes on both sides, you’ll have to use a larger solar lighting cover as the display flower pot, while the smaller one should be filled with plant medium of your choice in which your plants will grow. Just makes sure that the medium is suitable for moist and colder environments especially if you will be using your DIY project outdoors. Afterwards you can color or otherwise decorate your newly-created flower posts, with flower or other designs, or just leave them be to create a more industrial look, and you have yourself new, original as well as a bit more eco-friendly flower pots. More and more people are becoming huge fans of mood lighting, using differently colored lamp shades both in their domestic and work environments. There are devices available in lighting shops that allow the user to electronically switch between the different light modes and projected tones, but they usually are quite expensive. But you don’t have to spend a ton of money just to get colorful lighting, since you can achieve a similar result with some good, old manual work. Use your old solar light covers as lamp shades to create your very own DIY mood lighting. Low heat emitting light bulbs with plastic covers and high heat emitting light bulbs with glass covers will work best for this, because if the covers aren’t of excellent quality, high heat emitting light bulbs inside a plastic lamp shade can cause melting of the plastic, which can result in fires. So what do you think about these ideas of how you can reuse different parts of your old solar lights, so you get even more out of your solar lighting? Great blog and very useful. Love tinkering around with broken, used or cheap Dollar Store bought solar lights. As my latest small project, added an additional solar element salvaged from a broken reflector light set to a small fan I use to ventilate my automobile while parked in sunlight…. Works like a charm even though some blogs really criticized the Solar Auto Cool Fan. Simply not enough power from the original equipment…. Previous story How to properly clean different light bulbs?